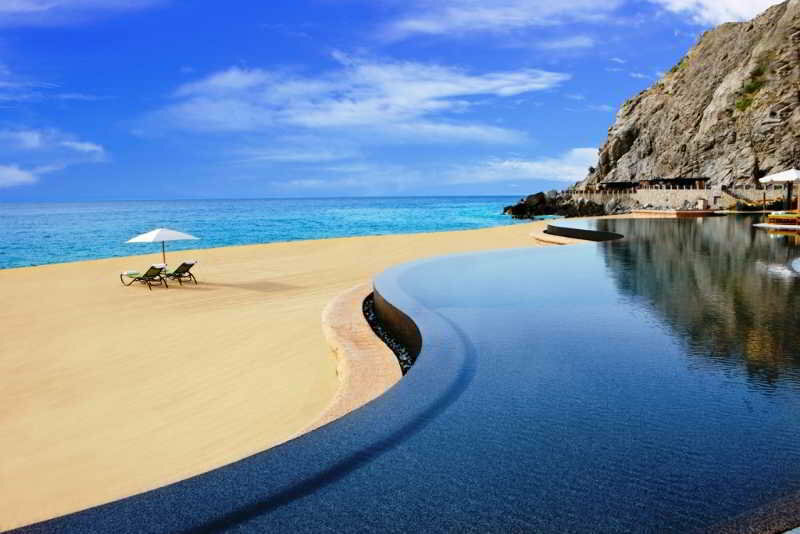 Located between San Jose del Cabo and Cabo San Lucas, the hotel is located on the tip of the peninsula. It can be reached via the only private tunnel in Mexico. The hotel is located close to the marina and 45 minutes from San José del Cabo International Airport.This air-conditioned beach hotel is built on rock formations. It offers a total of 66 rooms and features facilities including a lobby with 24-hour reception and check-out service, a hotel safe, lift access and currency exchange facilities. There are several restaurants, shops, a hairdressing salon, café and bars. A laundry service, room service and medical service are offered. There is also a kids' club for younger guests. WLAN Internet access is provided and there is a car park and garage.The rooms of hotel are perfectly integrated into the natural environment. All have views of the Pacific Ocean, and they include satellite/cable TV, Internet access and a private bathroom with shower/bath and hairdryer. Double or king-size beds, a direct dial telephone, radio, hifi system, safe, minibar, tea and coffee making facilities and an ironing set all feature. Air conditioning and a balcony or terrace complete the facilities on offer.The hotel has 3 swimming pools, including 1 outdoor pool and 1 heated pool. A poolside snack bar and sun terrace with sun loungers and parasols are also available. A gym, hot tub, sauna and steam room are available to guests, and massage and spa treatments are on offer. The hotel also offers tennis facilities. Sun loungers and parasols are provided on the nearby sandy beach.A continental breakfast buffet is served daily. Lunch and dinner are offered as a set menu or à la carte.